You will fall in love with this immaculate split with popular Victor schools. 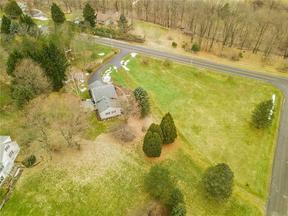 The home sits on 1.6 acres with beautiful views, professional landscaping and a private back yard. This home has lots of character including crown molding, gleaming hardwood floors, new interior doors and hardware throughout, and custom paneled walls. The amazing kitchen shows high end maple cabinets, granite counter tops, stainless steel appliances and a huge island! This kitchen is open to both the family room and the dining room making this an amazing center of the home. The master bedroom suite has a large closet with barn doors. Your guests will enjoy the first floor bedroom and a full bath. Newer mechanicals. Call today for a very easy showing. All offers will be reviewed Sunday, February 10 at 5 pm.